Buy yourself something shine-y this summer. 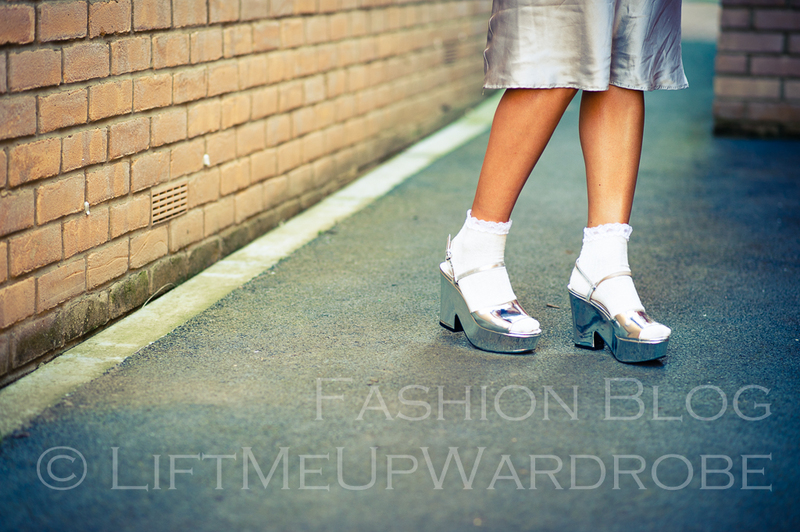 According to many of the fashion GURU platforms shine – metallics – chrome – fabrics are way to make yourself visible from the space. It doesn’t have to be laud and boldy and make you look like a xmas tree – the way is to choose right accessories. 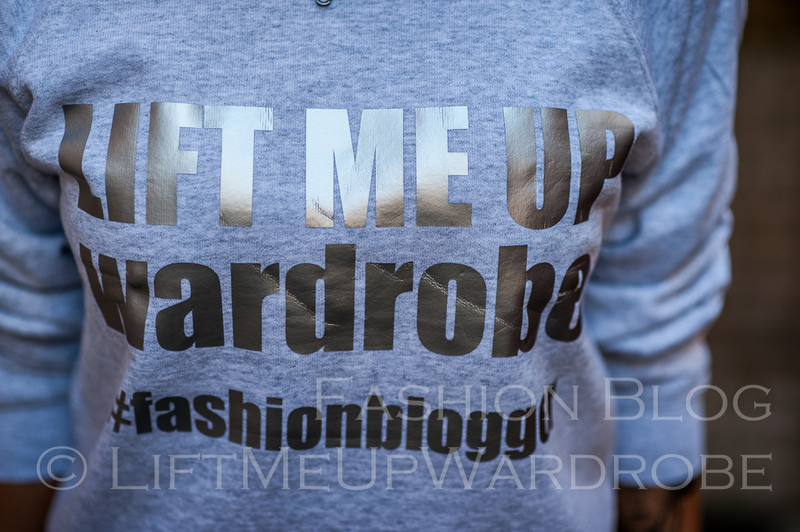 In my today’s post you can see yet again my LOGO LINE – grey & silver sweatshirt , silky lingerie silver knee length skirt and to make it worthy of BLOGGING about because otherwise this would be a normal look of the millions ie. a sweatshirt + skirt ? 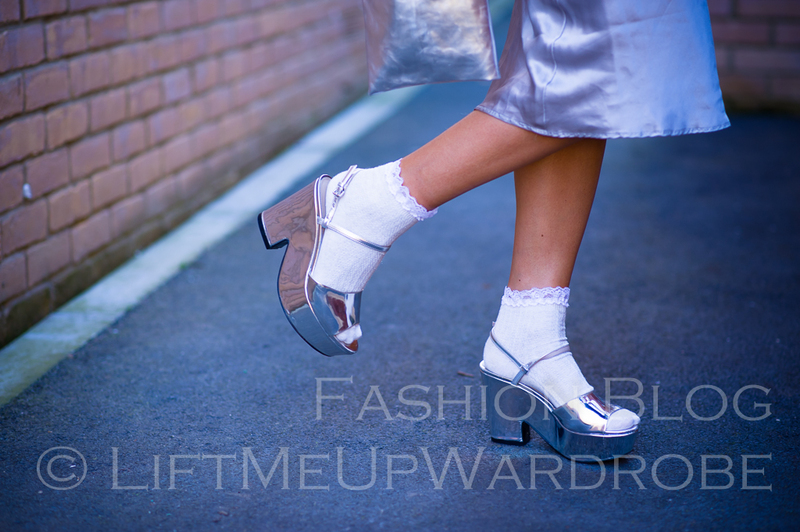 – not a big deal at all BUT if you accessories well then you end up with pretty cool and funky and most of all very in FASHION look. 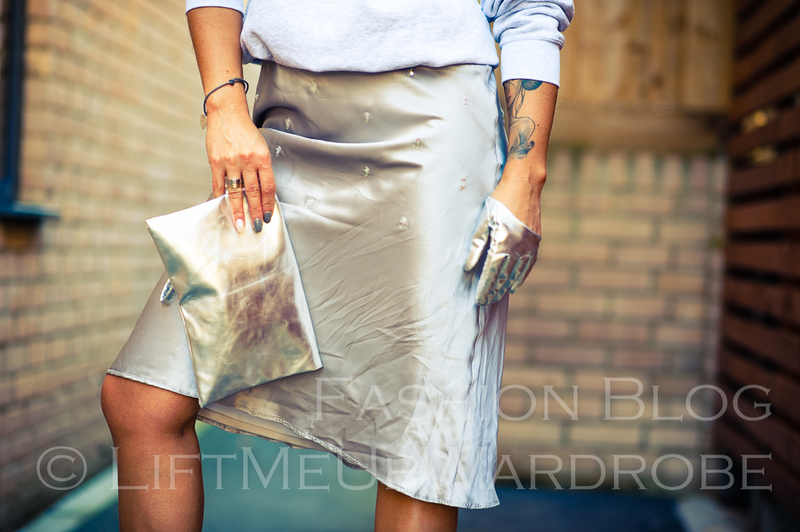 Posted in Street Style and tagged lingerie skirt, logo, personalised, silver, socks with heels, sweatshirt, zara shoes. Bookmark the permalink.